Please take a good look at the post below if you live in the Southeast. The probability of violent tornadoes has increased for the nighttime hours. Four people died in Hattiesburg because of a 4am tornado. The same type of situation could develop this evening and overnight. Please allow me to explain what you are viewing. The brown area has a significant chance of a tornado, it is roughly the threshold of the NWS issuing a tornado watch. 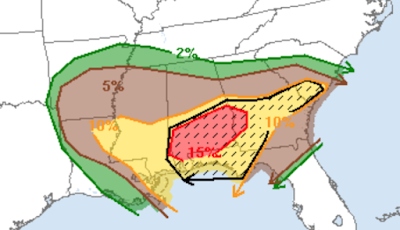 The yellow is a an enhanced risk of a tornado. 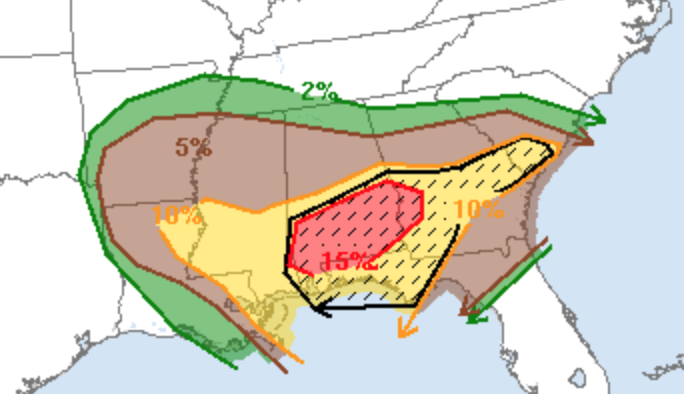 The red is a high (in my opinion) risk of a tornado. 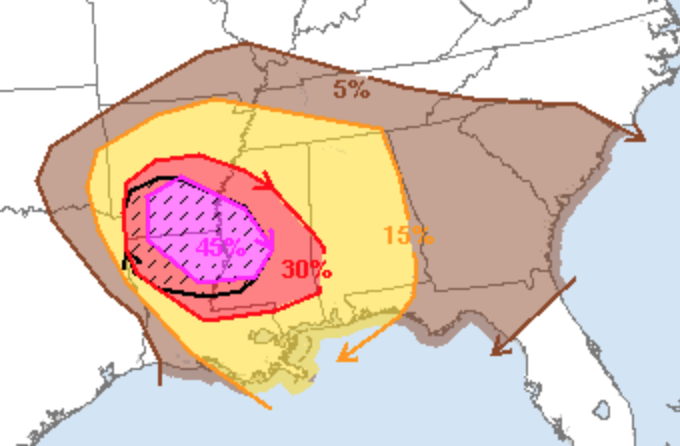 The hatched area is where violent tornadoes could occur. There is also the risk of giant hail, similar to the risk this morning. The hatched area may have hail >2" in diameter. Make sure you have at least two ways of getting a warning. Sign up for the excellent WeatherCall. The AccuWeather app will let you know if a watch or warning is issued. You have time to do all of these. Also, put your car, lawn furniture and anything that can blow about inside. I will update at least twice before I retire tonight.